This is our review of Air China business class between London and Beijing. Last week Rob ran an article on the best Virgin Atlantic airline partner redemptions (click here). Hands down, the best value is Air China in Business Class from London to Beijing. 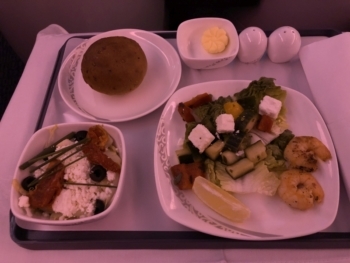 It costs 63,000 Virgin Flying Club miles return in Business Class or 75,000 miles in First Class. Taxes are around £500 return and availability is excellent. Given that you can get between 5,000 and 15,000 Virgin Flying Club miles for free with the new Virgin Mastercard credit cards – and earn up to 1.5 miles per £1 on your spending – this is a reward that is within reach for many. For many people that is an unknown quantity. “I did not actually book this trip using Virgin miles, but instead paid cash during an Air China sale covered on HFP. You would obviously get the same experience if you booked with miles. Air China operates a Boeing 777-300ER (ie Extended Range) for this flight which had a three cabin layout. There are 42 Business Class seats. As usual you should do your homework before choosing a seat. The seats closest to the front and rear of the cabin do experience the brunt of the foot, restroom and crew traffic. A and L seats are window seats with a neighbour, and do not have direct aisle access. You may have to do some climbing if your neighbour is asleep and in lie-flat mode. D, C, H and J seats have direct aisle access but are not by a window. If you are in a C or J seat your neighbour will be climbing over you whenever they get up. The crew weren’t too keen on pictures (!) and this is the best I could sneak while boarding and then sat down. With a 60-inch pitch and 22-inch width, the seat reclines the full 180 degrees. You don’t get any additional ‘bedding’ beyond a large blanket, designed to go under then around you. I wasn’t sure about the colour and design choice for the upholstery (it being Air China I had expected reds) but it isn’t an eye sore and works well with the mood lighting. I found the cabin quite warm on the outward journey but the crew weren’t able to correct this and I seemed to be the only person saying it. It may have just been the body heat of everyone else sleeping. The crew will hang your coat for you as there isn’t any vertical storage space with the seat. As expected, you have the overheard bin to yourself and some small storage behind your head off-centre. The Business Class cabin was full on the outbound journey and at approximately 50% on the return. The mood lighting was appropriate for the times of day during the journey and the crew keep the lights quite dim during sleeping hours. As you would expect there was a large selection of movies – over 100 – but mostly in Chinese. There were also non-sequential episodes of American TV shows (season 3 episode 8, for example) so I stuck to a few movies (San Andreas and Jurassic World were the newest Western films!) and my iPad. Due to the somewhat odd seat layout, you are not centred to the screen (which is off-centre to your right) but you won’t notice this once you’re focused on the show. There is no wi-fi but each seat does have some form of power outlet even if just USB 5v. While you get some rather snazzy slippers, no pyjamas are provided in Business Class. 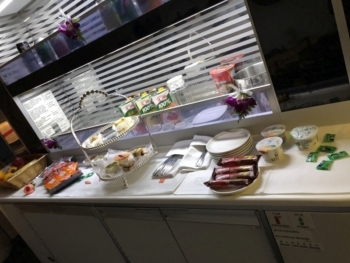 Each journey provided a Chinese or Western food option, with various bits of overlap between the two. In reality you only choose your main item and have no say on the others (or perhaps that was lost in translation). You usually get given all of the desserts which is rather wonderful! You are asked to choose all of your meals at the beginning of the flight, before or just after take-off, and then the menu is taken away. 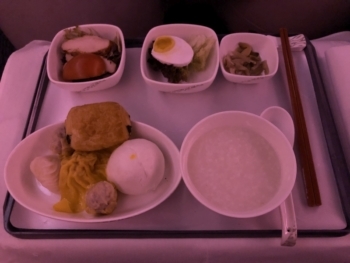 The outbound flight to Beijing leaves just after lunch (14:10) so you are offered a combined lunch and dinner. Then a marinated prawns with Greek Salad, endive lettuce, chicory, feta cheese and tomato with a dill mustard dressing (that packs a punch!) and a warm soft and delicious bread roll. The feta and olive tomato stuffed chicken breast (a tiny bit dry) with diced pumpkin (a little too soft) and creamy spinach was – as a whole – wonderful! Desert was fruit and Haagen-Dazs ice cream. I chose the Chinese breakfast (start as you mean to go on…) but the cous cous congee wasn’t something I particularly enjoyed. They aren’t kidding about the salted egg either! The dumplings were wonderful. The pain au chocolate (perfectly warm and soft with gooey chocolate) was added to my dumpling plate as there was nowhere else for it to be set down. Pre-bread was sautéed black fungus with spring onion (great, in small doses); five spicy smoked pomfret (not my taste!) and marinated celery with walnuts and black fungus (delicious). Delicious wuxi pork spare ribs with steam rice were served on the same tray. As a light meal, served as a single tray were smoked marlin, prawns and vegetable salad with grapefruit dressing. I skipped the marlin! The Kang Shi Fu Beef Noodles were fantastic and I’m very glad I stuck to the Chinese dish for this meal. The cabin crew were attentive and friendly but held back by the language barrier. On both flights only two of the cabin crew were comfortable engaging in English. The others were more hesitant but remained incredibly attentive to refilling glasses or cleaning items as this didn’t require much of a conversation. 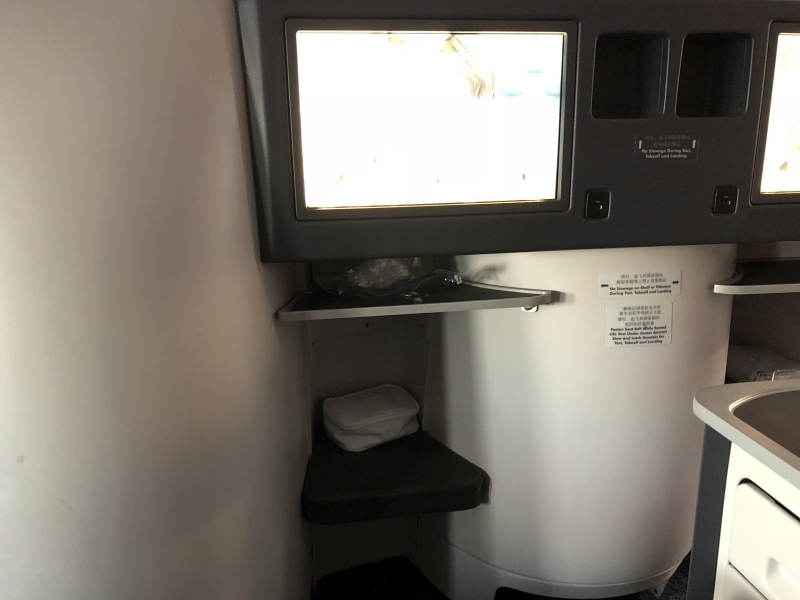 The restrooms used by the Business Class cabin were kept clean and well-stocked throughout the flights. 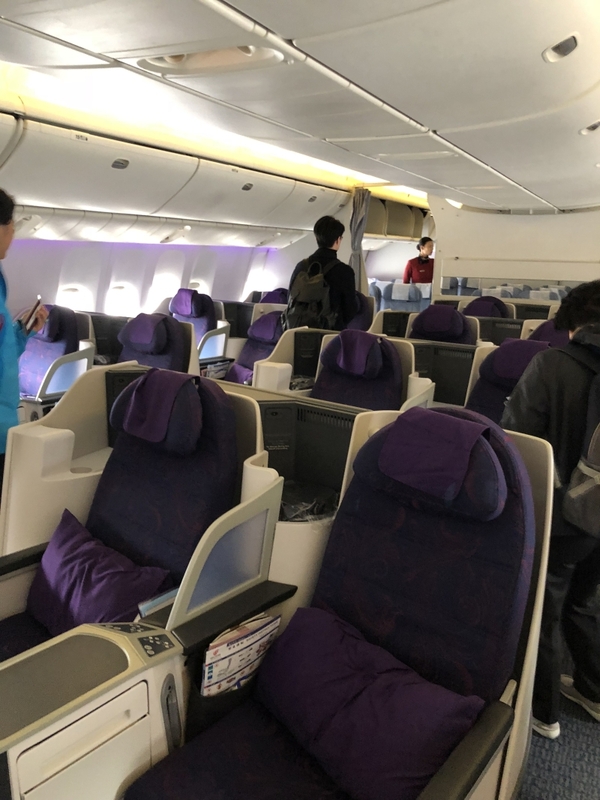 Looking at other reviews online, most people tend to negatively judge Air China based on service. In my experience, over two flights, the crew did the best they could and all other aspects – besides verbal communication – were fully up to international standards. 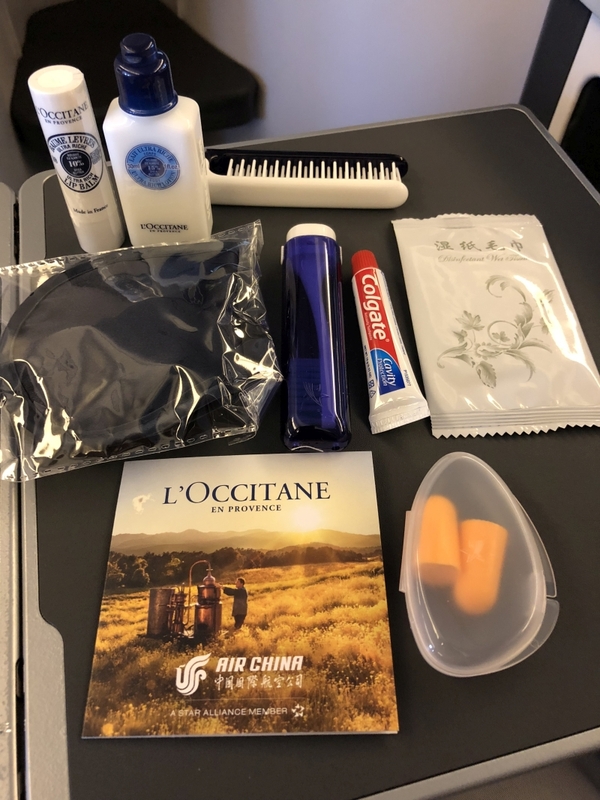 Air China has a good business product and is an excellent Virgin Flying Club redemption option between the UK and Beijing. Full details of the Virgin Flying Club / Air China partnership can be found on the Virgin Atlantic website here. 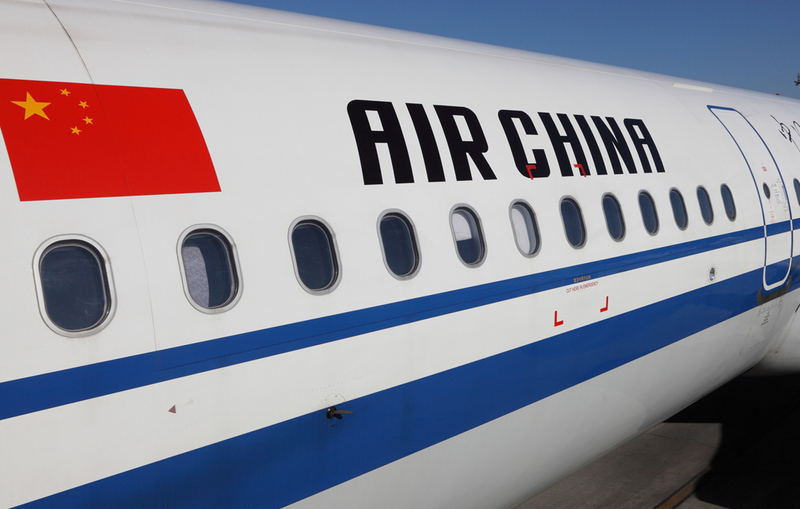 As well as redeeming miles, you can also earn Virgin miles on this particular Air China route. PS. Remember that you cannot use the 144-hour visa waiver if you only fly to Beijing and back. You would need to add a separate flight from Beijing to a third country and leave China within five days. If you are flying back to London you would need to apply for a Chinese Visa in advance. As a data point for those with Lloyds Avios cards – This month Avios turned up in Avios.com today , I assume it wont be long before they will be turning up into BAEC instead as accounts get swapped over. As Lloyds does not tend to have the best IT out there I suggest we keep our eyes on this as I for one cant see this being as seamless as it should. Today? Nothing here but mine usually turn up on the 21st-23rd. What the best way to get myself a SPG card ie most points/avios, refer myself from my Gold card or refer from the misses BAPP or her SPG card? Do you want 9k MRs, 9k avios or 5k SPGs? Only collect Avios, can you actually refer from a BAPP to SPG? The aircraft interior looked a little grubby and worn…. Flied LHR-PEK-LHR earlier this year in F. The seat itself is as good as BA F if not better, and service was quite good in general too. My biggest issue was food as I ordered different things from the Chinese menu and almost everything turned out to be rather poor quality. Friends who flied on different occasions shared the same view and we are all Chinese. 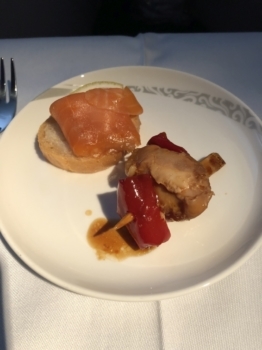 Food and drinks menu is almost identical to the one in Business class with a couple of additions. Also I’ll avoid the first row as people constantly pass through and the lights right above are very annoying. All in all the best value redemption for flights to China unless you have Air China miles! 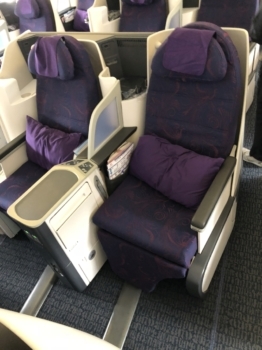 I flew LHR – PEK (one way) in F late last year booked using Virgin miles (tax was £350 ish). Availability matches united.com availability in First Saver awards (i checked several dates with virgin). It does appear that availability opens up nicely 2-3 weeks from departure. The service was great although English was a struggle – very attentive and nothing too much trouble. Food was an 8 course tasting menu – which was dissapointing. I didn’t touch a few dishes after the first bite, but unlikely you will go hungry. Eating in the fantastic United first lounge in Heathrow mitigates much of the problem. IFE was awful – very few shows in English, in fact it was the first flight i didn’t watch a single thing. Bring your own entertainment if this is important to you. The cabin was empty on my flight, so the crew made up the adjoining seat to a bed and i had the run of the cabin. Bed had a mattress topping and was very comfortable. Lots of shoulder space (as you would expect from 4 abreast). I slept well – although I did ask the crew to turn down the heat as it was stifling. Overall I enjoyed the experience. 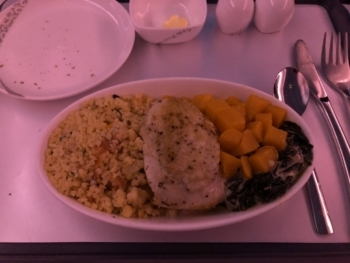 As a night flight the priority for me is a good meal in the lounge and a bed to sleep. 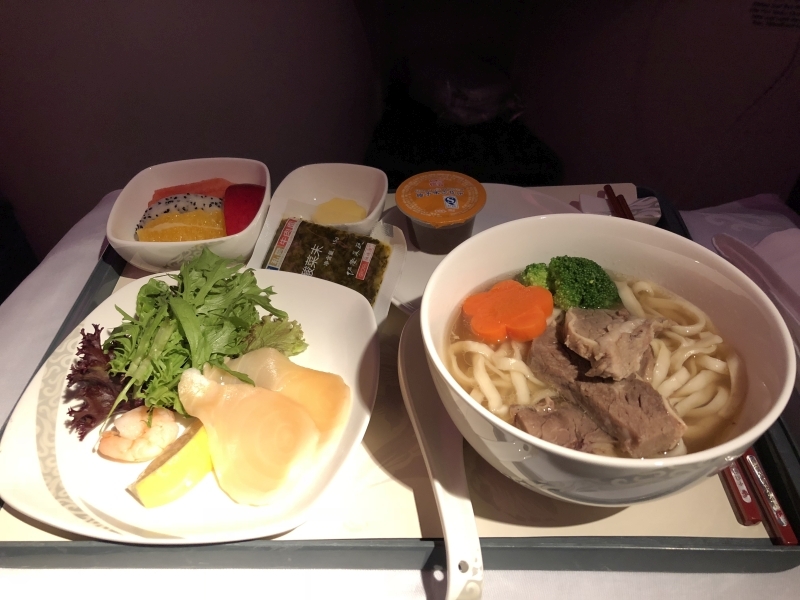 I wouldn’t hesitate to opt for this again if i could make a LHR – PEK work on my itinerary. It IS a no brainer on this route and terrific value. As much as I love smoked salmon, it just never seems to work for me at 36,000 feet and invariably avoid it if I can. Have you tried the Smoked Alaskan Wild Salmon from Tesco. It is real Sockeye and until recently was the same price as farmed and no comparison, although it is now more expensive. @mark2 try the Hebridean smokehouse. IMO can’t be beaten on quality. Pricy but good for a treat. Trouble is no one serves it at 38k ft. 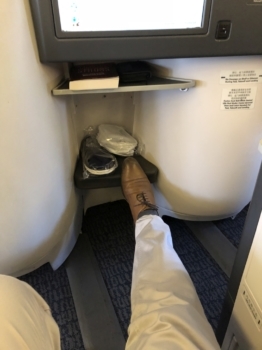 Climbing over anyone in a premium cabin is lost in translation to me. Thanks for the review so as not to ever make the mistake of using this airline. Indeed Air China is good. I got a greeting card from crews cuz we had a nice talk on board. Thanks for the review. 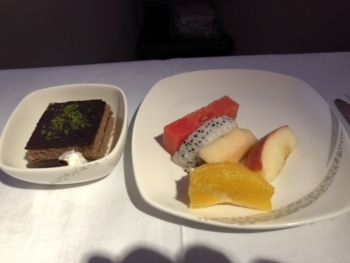 I’ve flown them in economy – the service and food was awful. Business looks much better! Ditto. They were awful. Everything felt dirty in economy, the remote and entertainment system looked tired. Rob, is there any previous article you have done or could do that gives everyone an idea on best “bang for buck” on points? I.e. Middle East is SQ for 50k J return. E.Coast USA and Latin America Iberia owing to taxes and possibility of utilising the different off peak times etc. Not in that sense, no. 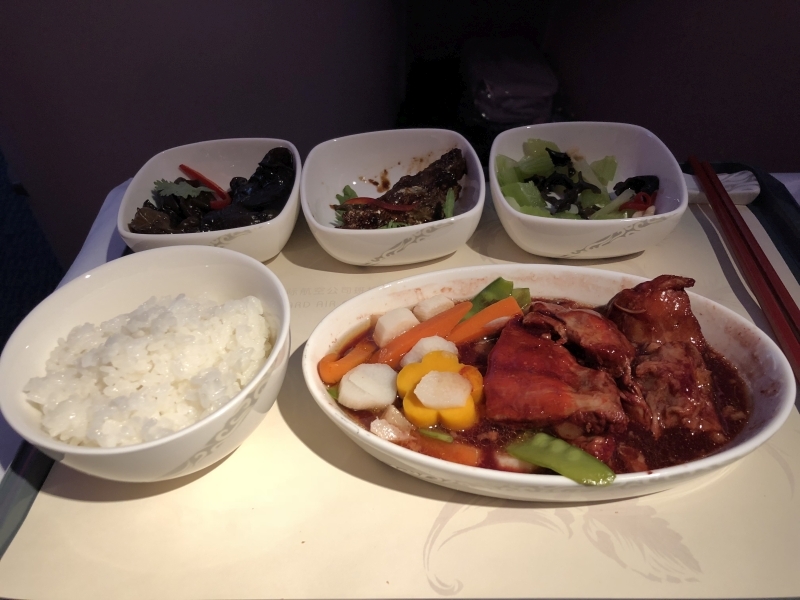 I flew Air China from TPE-PVG in J a few months ago and thought they were very average. The IFE was severely lacking considering you are not allowed to use any personal entertainment devices at any time during the flight, even in flight-mode. Crew strictly enforced this. This was not as announced. Mobile phones and iPads in flight-mode was just fine, although laptops/iPads etc had to be _off_ for takeoff/landing and taxi. How much are the taxes and fees ordinarily? I’ve just booked them in 1st in June using Virgin points. I now have a ticket reference from Virgin and an Air China one too. How do I administer the flight as their web site says it only works for bookings made by them. When I’ve tried to use either code I just get told that it wasn’t made on their site?